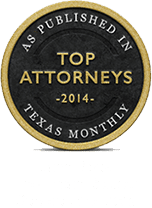 Insurance Lawyers | Daly & Black, P.C. You are not alone in your fight. Daly & Black, P.C. will aggressively fight to enforce your rights. If you find yourself squaring off against an insurance company, whether you are a sophisticated business, or an individual, you have to level the playing field. Armed with limitless resources, insurance companies are able to hire skilled counsel and employ professional negotiators. Worst of all, they do not always have your interests or well-being in mind. It is essential that you level the playing field by hiring experienced and aggressive counsel, that know how insurers operate, and are willing to go the distance where necessary. That's why you need the experience of Daly & Black, P.C. on your side. Reasons to Choose Daly & Black, P.C. I appreciate all your time and effort! I'm well satisfied and appreciate what you've done. Thank you again for all your hard work on our behalf. I am very happy with your services! He settled within months. He always gave us updates and kept us in the loop. Thanks very much to D&B for the good work! Daly and Black was absolutely wonderful and got the insurance company to right a wrong and pay up. 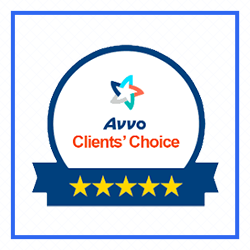 We are very thankful that we found your firm! We just want to thank you for all the wonderful and hard work! They were always pleasant and kind. I have been very pleased! When Mr. Daly got involved, things happened! We Have Your Best Interests in Mind! Once you retain Daly & Black, P.C., we will provide a free consultation to determine whether you have a meritorious claim. With lawyers that have decades of experience handling such matters, your case will be handled as if it were our own. And because our firm only recovers a fee if you are compensated, we will be as motivated as you are in seeing the case through successful completion. And if the Defendant wants a fight, we can do that too. Our lawyers are real trial lawyers. Not pencil pushers or paper tigers. 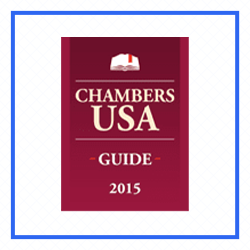 We get results where it matters – down at the courthouse, in front of judges and juries. And our lawyers have been doing it successfully for decades. With countless accolades, and many significant verdicts over the years, our lawyers have proven that they know how to win. Unlike the insurance company, we have your best interest in mind, and no person or business should endure the tiresome antics of insurers that choose to behave badly. When you retain the services of Daly & Black, P.C., we work quickly, tirelessly, and efficiently to try and achieve the desired result. We bring this same approach and philosophy to bear in all of our cases, including catastrophic personal injury matters and complex commercial disputes – always aligning our interests with your own. Did an Insurance Company Recently Deny or Underpay Your Claim? To find out how you can move forward with your claim, contact Daly & Black, P.C. today. When you work with us, you will receive superb attention and personalized service. We are here to level the playing field and get you the compensation that you may be entitled to.